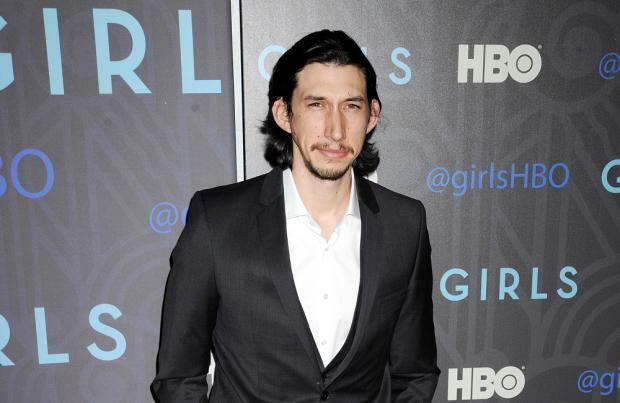 Adam Driver admits it was surreal being cast in 'Star Wars Episode VII'. The 'Girls' actor, who is believed to have signed up to play a Darth Vader-inspired character in J.J. Abrams' upcoming intergalactic adventure, admits it has been an incredible experience being part of a franchise he grew up watching. Driver joins original cast members, including Harrison Ford, Mark Hamill, Anthony Daniels, Peter Mayhew and Kenny Baker in the forthcoming film. He explained to Empire magazine: "You grew up watching something and then suddenly you're in the midst of all those characters with them talking to each other! You want to make R2-D2 noises and lightsaber whooshes - but nobody actually did." Driver isn't the only newcomer on set, John Boyega, Daisy Ridley, Andy Serkis, Oscar Isaac, Domhnall Gleeson and Max von Sydow have also been cast. The movie - which has a screenplay written by director Abrams and Lawrence Kasban - is due to open worldwide on December 18, 2015.